The Daily Front Row is pleased to announce the appointment of Dan Ragone as president and chief revenue officer. The media group’s properties include The Daily Front Row, The Daily Summer, The Daily Hollywood , The Daily Basel, the Fashion Los Angeles Awards, the Fashion Media Awards and the website fashionweekdaily.com. “I am thrilled to have Dan lead The Daily’s next phase of growth and development. We see considerable untapped opportunities in the marketplace for our highly targeted, highly efficient media and event properties, and Dan’s experience will be a great asset to our brand,” said The Daily group founder and CEO Brandusa Niro. Current group CRO Mark Tevis is leaving to form his own sales and marketing consultancy, with The Daily as its first client. 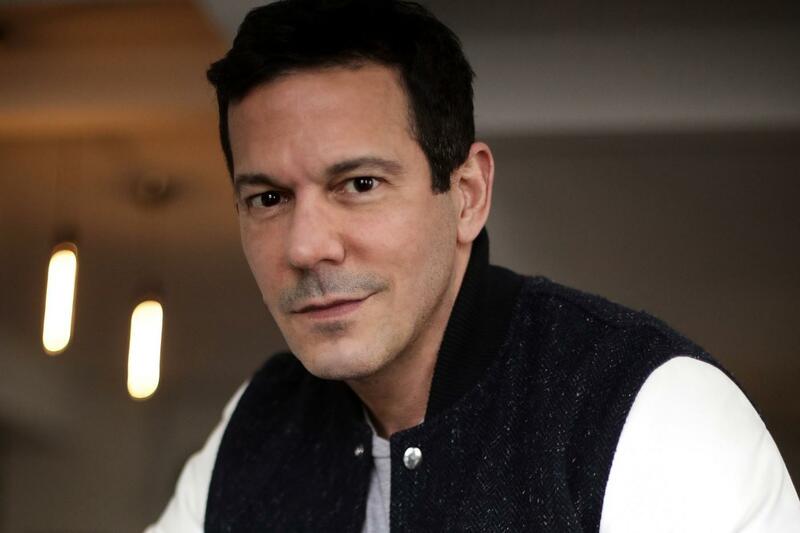 Ragone started in fashion media as the fashion director of Interview before becoming Allure’s executive fashion director. He spearheaded major growth at ELLE as associate publisher, was promoted to VP/Publisher of ELLE Decor, and back to ELLE as VP, Managing Director. He returned to Brant Publications as president of Interview, a role he held for six years. We caught up with Dan on his first day at The Daily. So, what brings you to The Daily? I like the brand’s personality. The Daily is the best of both worlds — it’s a targeted and influential trade magazine that’s a must-read but it’s also fun and entertaining, and people enjoy reading it like a consumer magazine. It’s insider but doesn’t take itself too seriously and has a really sharp wit and sense of humor. It’s also very well regarded and highly respected. A great combination and one that’s tough to achieve. Did you always know you wanted to go into fashion publishing? No. After I graduated college and moved to Manhattan I spent about five years working in advertising first in media and then account management. I really got interested in the fashion industry much later, when I was at Interview magazine. I was a pretty young sales rep and calling on major fashion brands. Sandy and Ingrid would ask me to schedule very senior meetings with CEOs and designers and would actually invite me to attend the meetings. I remember they were so inclusive, besides the meetings I would be invited to sit at the intimate Interview dinners with designers and celebrities, I would tag along at fashion shows going backstage to congratulate the designer with them — it was very cool and not very typical for a sales rep to have this type of access. How have you seen the media landscape change over the course of your career? Dramatically! There are so many different ways to accomplish the same goals now, which is cool. Everything is changing so rapidly, now more than ever. You have to create products that the market and brands are looking for. It sounds so simple but it’s true. It’s also super important to engage with the reader on multiple planes. For instance, The Daily has such phenomenal events and that’s vital. Readers want a three-dimensional brand experience. We can deliver on this. Do you remember the first time you read The Daily? I was at ELLE Magazine going to a lot of shows. Everyone at the office would ask to bring The Daily back to work. It was always fun checking out what The Daily had to say during fashion week. It’s the authority! Now it took over the Hamptons in the same way, as the fashion authority. And the events are a natural segue to that. Great move for the Daily!